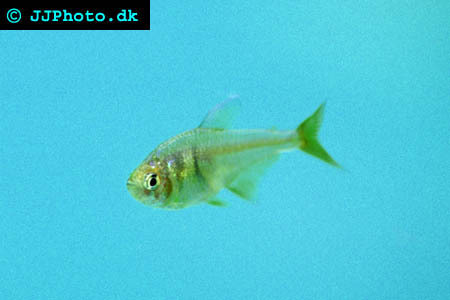 Company: Hyphessobrycon Flammeus (Flame Tetra) is suitable for community aquariums. Aquarium setup: Hyphessobrycon Flammeus (Flame Tetra) prefers a well planted aquariums with lots of hiding places and some free areas to swim on. They also prefer dimmed lighting. Hyphessobrycon Flammeus (Flame Tetra) are very undemanding and can be kept in most water conditions as long as extremes are avoided. They should always be kept in groups of 10 fishes or more. Feeding: Hyphessobrycon Flammeus (Flame Tetra) accepts flake food.. 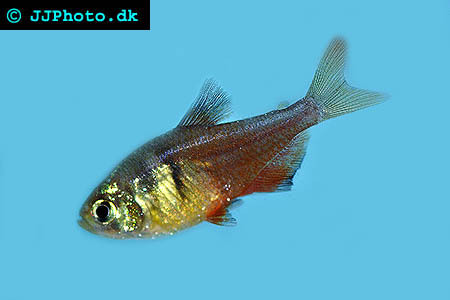 Breeding: Hyphessobrycon Flammeus (Flame Tetra) is easily breed and produce up to 250 eggs. The eggs will hatch in 24-50 hours. The parents eat their own eggs and they should therefore be removed from the breeding aquarium as soon as the eggs has been laid. The eggs wil not hatch if exposed to light.